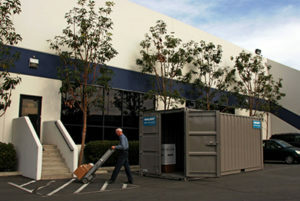 Haulaway Storage Containers is the highest rated name for construction shipping containers in Sacramento. They offer you shipping containers for rent that are perfect for every construction project, for office spaces during a remodel, for retail stores to use during busier times of the year and for you as a homeowner when you need a space for items during your home remodel. When you choose to rent a storage container you need to contact Haulaway to fill all your storage container needs and give you the right size container for you to use. Why is Haulaway the best name in the business? They not only have a great selection of construction shipping containers in Sacramento, but they offer them in multiple sizes and for next day delivery. This variety of sizes makes a huge difference for you in the overall price you’ll pay for shipping containers for rent. Most companies only offer one size container for you to use, at Haulaway you can choose from five different sizes to make sure you have the right shipping container for your needs. This flexibility of having ten, twenty, twenty-one, twenty-six or fort foot sized containers make it easy for you to enjoy storing your materials. Construction sites love to use Haulaway construction shipping containers in Sacramento. That’s because these shipping containers for rent are made of fourteen gauge steel and offer steel and hardwood floors to ensure the storage of construction items is easy to enjoy. You won’t have to worry about wind or water entering these containers either, every one of them are guaranteed to be resistant to both to give you the protection you need for your construction materials that will be used later, but need to be kept safe.